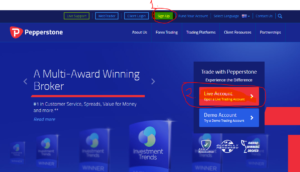 Below steps how to sign-up Pepperstone Forex Broker in order to subscribe our Free Copy Trading System. Click the link below to get the link to Pepperstone Forex Broker. Click this Link Pepperstone Forex Broker . 2. Click Sign up Button as per above photo sample or click Live account-open live account button. Complete your personal details. 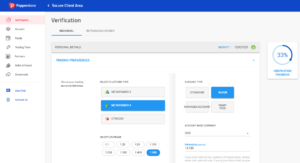 Choose account type- Individual, business or Corporate etc. If this is you personal account, please select Individual. 2. Complete the rest needed info- Email and Password. 3. 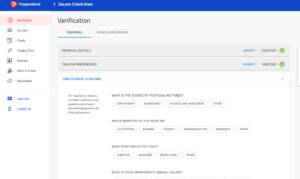 Check your Email to confirm and Validate your email you have key-in. Complete Below needed in the box mainly your information. Name, Birthday, Address, security Question. Account Currency Base = USD or depends on your currency deposit preferences. Fill-in the details needed on the Questionnaire Regarding your income source in trading for Forex. 2. Once you have done filling -up all the info click next. 3. Check your Email or Log-in your account in Pepperstone page to upload ID’s, Passport, Licenses to Fully verify your account. Once your account fully verified after your documents submitted, Please proceed and start fund your account. If you have done funded your account, Refer to below link to get further info How to link your account to our Free Copy Trading Services to start the trading.